Any picture sent back to Earth via NASA’s Curiosity rover is a little miracle. But the explorer’s newest image is probably its best yet. 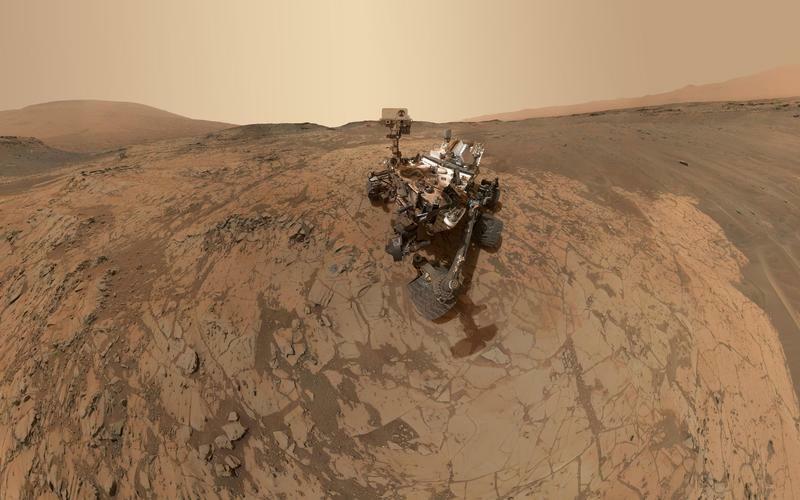 The wide-angle selfie gives us an excellent look at the current conditions on Mars, and, yeah, it’s looking dry. Look at how dusty NASA’s rover is; like some sort of chameleon robot trying to assimilate to the Red Planet. You’re fooling nobody, Curiosity. Although it doesn’t look like much, Curiosity is in a pretty precarious spot, surrounded by a lot of important Mars landmarks. You can see the annotated image down below, which points out spots like Upper Mount Sharp, Crater rim, and the last spot where Curiosity drilled, Mojave. 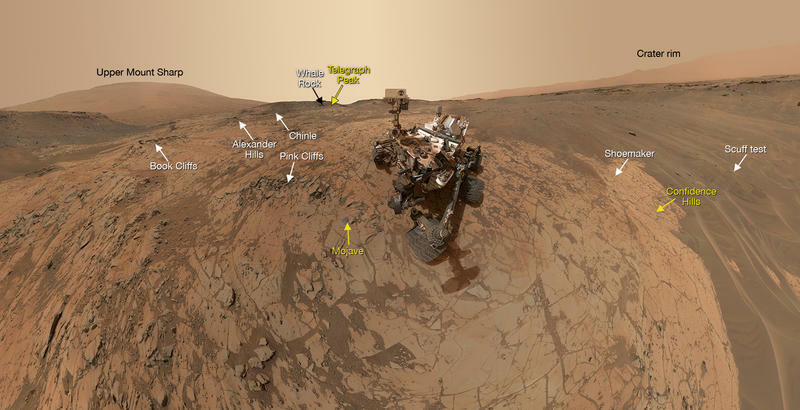 How did Curiosity take this selfie, you ask? It’s actually pretty simple. NASA says the picture above is a composite of dozens of shots taken by its Mars Hand Lens Imager (MAHLI) camera. Each image is taken from various positions and angles, allowing NASA to stitch the image together to look like it was taken by someone—or something—else. Regardless of how it was snapped, it’s a spectacular image, and gives us an amazing view of Mars’s surface. Curiosity is looking mighty regal in that shot, even if it is filthy. Keep on trucking, Curiosity.